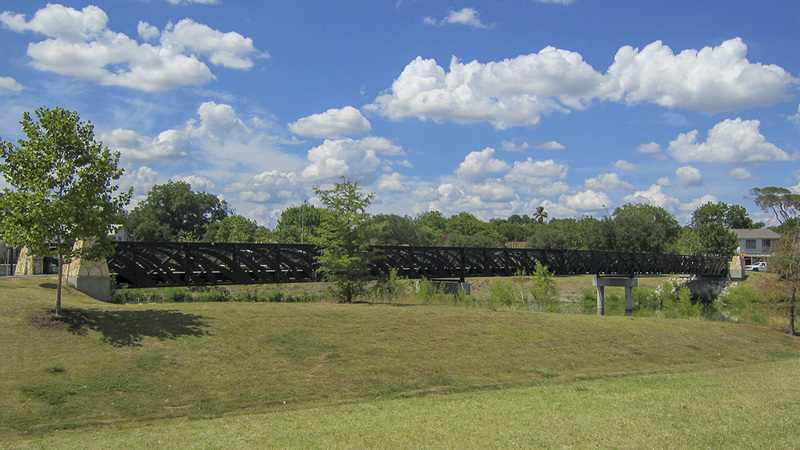 In 1887 George Russ, F. H. Brown, and W. P. Anderson of the West End Town Company purchased 1,000 acres of rural land known as Maverick’s Pasture to develop a streetcar suburb three miles northwest of downtown San Antonio. 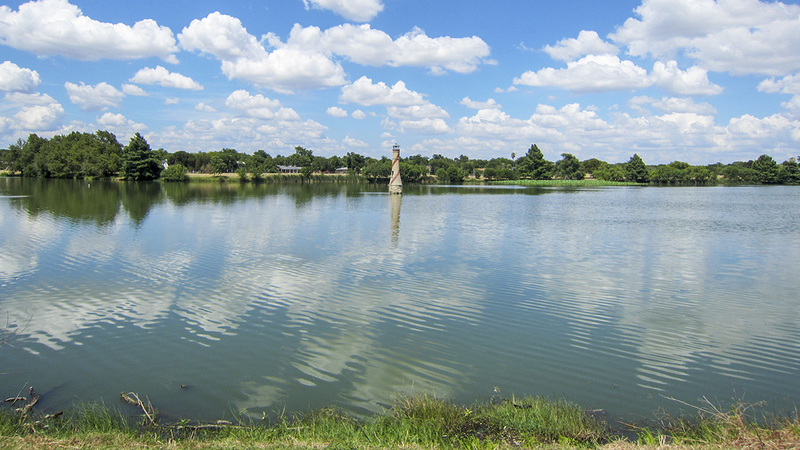 Two years later, they constructed a dam across Alazan Creek, creating a large lake with a small casting pond at its southeast corner, at the terminus of the line. 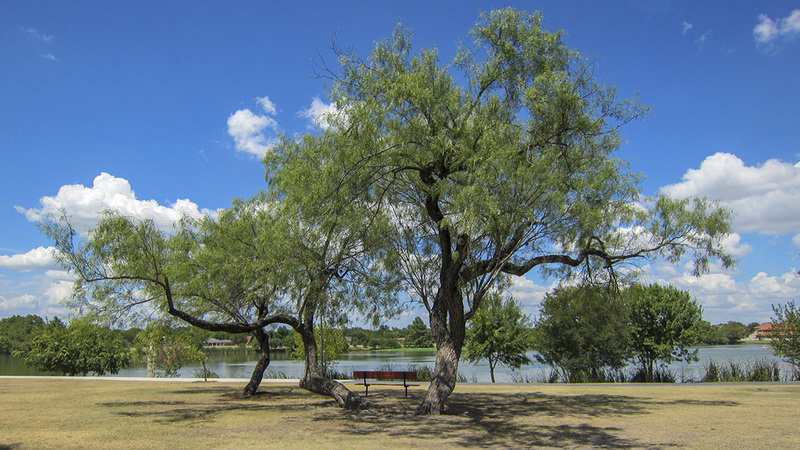 In 1919 the lake and its surroundings comprising a total of 62 acres were donated to the city for the establishment of a public park, subsequently named Woodlawn Lake Park. 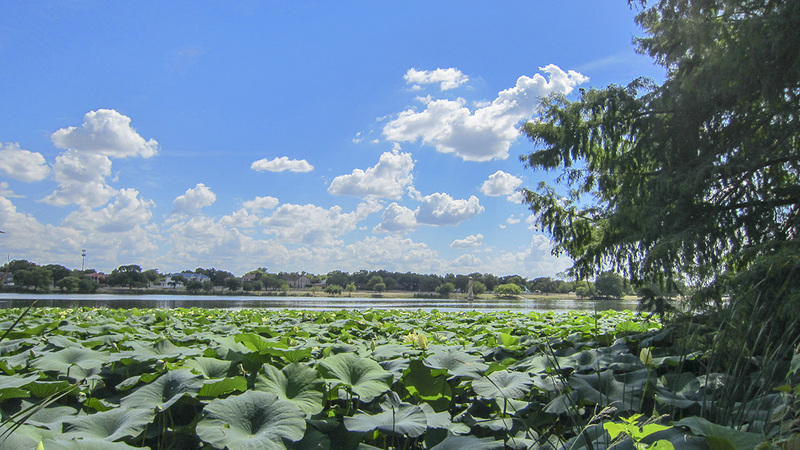 A 1.5-mile-long asphalt path lined with willows, evergreens, wetland plants, and grass encircles the 30-acre lake, which has a small, ornamental lighthouse at its center. 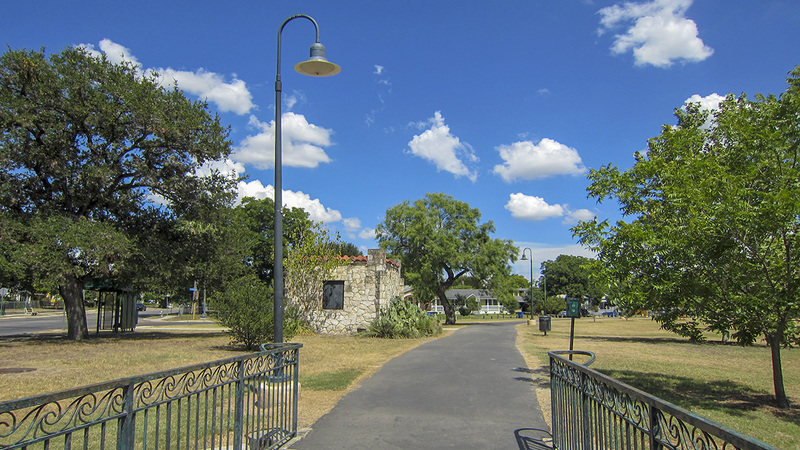 Situated at the park’s main entrance on its western side, the 1930s Mission Revival-style Woodlawn Island House is adjacent to fishing docks, picnic pavilions, tennis courts, a basketball court, a playground, parking lots, and a storage shed. 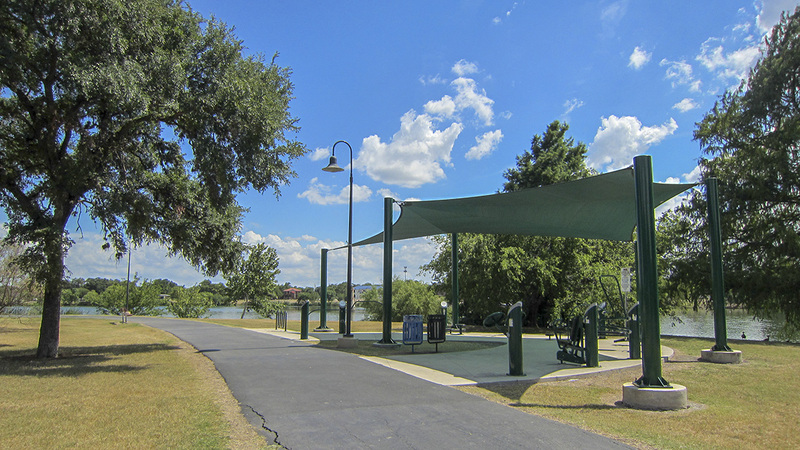 The eastern side of the park features a swimming pool, baseball field, playground, and gym. 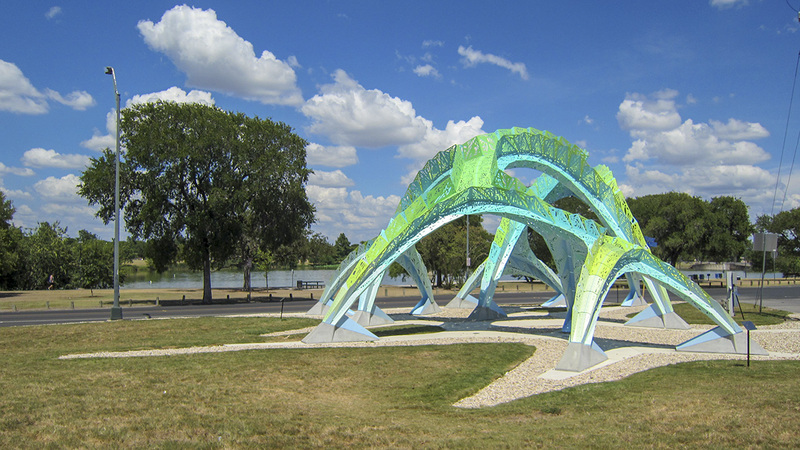 Serving as a beacon, “Spineway,” a large-scale, illuminated Modernist sculpture painted in 22 shades of blue and green and designed by Marc Fornes was installed in 2015 on the corner of Cincinnati Avenue and Josephine Tobin Drive, near the main entrance. 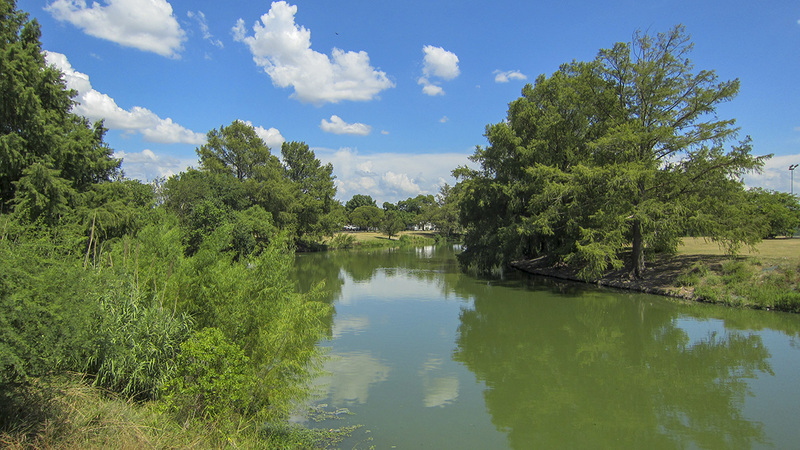 The small Centennial Garden, containing diverse native plantings, was established at the northwest corner of the park in 2018 to commemorate its 100th anniversary as a public park and provides a habitat for birds, butterflies, and bees.